So your thinking about moving to South Jordan, Utah? Don’t worry, we get it! South Jordan is a great city tucked on the western side of Salt Lake Valley, has easy access to many shopping centers, and has a great view of the Salt Lake Valley. However, You don’t just move to a new city now—your moving to a new neighborhood and this guide will give you everything you need to know before moving into South Jordan. You don’t just move to a new city now – you move to a neighborhood. Have you ever moved to a new neighborhood? Whether you are young or old, adventurous or content, wealthy or strapped for cash, please don’t leave it to chance to find your next great home. With close to twenty-thousand major cities and towns in the United States there are so many diverse opportunities it can be hard to settle on just one place to live for your whole life. 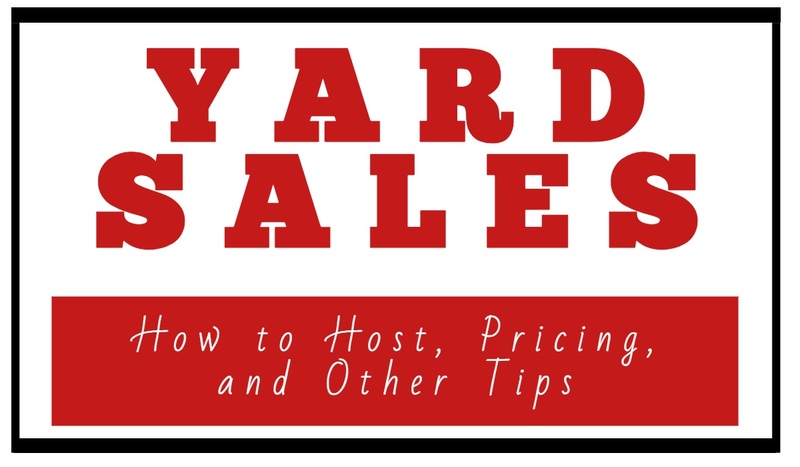 Neighbor’s South Jordan neighborhood moving guide will highlight the pros and cons of the city so you can focus on finding your tribe and making a solid life for yourself instead of researching forever and never making the leap. What’s inside our South Jordan, Utah Neighborhood Moving Guide? Moving to a new city has its advantages because you can pick which neighborhood you live in and what type of people you want to associate with. Smaller towns and cities lack what South Jordan provides. Below are a list of all the neighborhoods located in South Jordan along with a description of the area, local statistics, and its location in relation to other larger surrounding cities. South Jordan is a thriving medium-sized city with a population of 69,034 with over 18,200 Households. Located at an elevation of 4300 feet the average temperature is 78 Degrees in the Summer and 33 Degrees in the Winter. The Median Age is 33 and the average family size is 3.5. 50.8% of the population is Male, 49.2% is Female, 61.7% of the population is married and 66.6% of the population are over 18 years old. The average household income is currently $95,764 which is drastically higher than Utah’s average of $65,977. So you’ll be living among the swells in South Jordan. 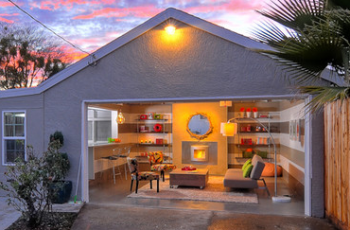 The community is many different neighborhoods covering 20.9 square miles across the valley. South Jordan is home to over 206 restaurants, many shopping areas, and many other fun things to do. The most expensive neighborhoods in South Jordan are Bangerter Hwy / W 11400 S, Chavez Dr / S 1300 W, City Center of South Jordan. Of which there are 5 housing districts that make up the cities neighborhoods which correspond to the city council representatives as well. The main draw here to South Jordan is an area called The District that has the megaplex theaters and many local shops and restaurants. There are many golf courses, theaters, Hindu Temples, shopping malls, fly fishing, and with the mountains only 30 minutes away there are endless opportunities available. All the local outdoor activities can be found on the cities Parks and Open Spaces Map. Need I say more? You need to know what is going on within your chosen neighborhood. You don’t want any drunken surprises, drug busts, or robberies happening in your neighborhood. Thankfully for you, South Jordan is known for being a safe and secure neighborhood. South Jordan received a crime rate of 134.6 which is astoundingly lower than the US average of 280. Within 2016 there were 0 murders, 19 rapes, 7 robberies, 27 Assaults, 197 Burglaries, 1,247 Thefts, 101 Automobile Thefts, and 1 Arson attempt per 100,000 people. This is considerably lower than for example, Las Vegas which had 122 murders, 780 rapes, 4885 robberies, etc. South Jordan is a super safe place to live even in Utah where the crime rates are overall lower than average. There are however many opportunities to volunteer and join a service organization within South Jordan. These organizations provide support and encouragement to those residents who need it the most. If you have children then this is probably one of the most important thing you should be thinking about. Where are your kids going to go to school? Are those schools performing better than the other ones around them? Does the school have high performing sports teams? Do they have an Arts program? These are all serious questions that need answered. You can learn more at each school’s website, but we’ve pulled the most important data from each one and arranged it here. 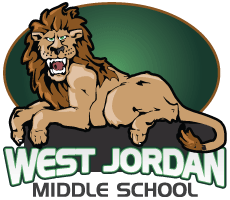 Here is a website of all the schools within the Jordan School District. The Administrator of Schools is Teri Timpson who is over all the schools within the South Jordan area. The 3 major schools we are going to highlight are the 2 local middle schools and the 1 local high school. Joel P. Jensen Middle School is located in West Jordan. 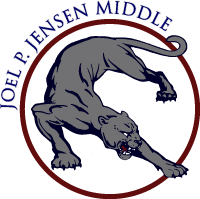 The goal of Joel P. Jensen is to provide their students with an impactful academic, social, and emotional environment for them to learn and progress. Joel P. Jensen was opened in 1984 and currently serves 850 students. They have Honors and AP programs, and active PTA and School Community Council, volunteers, MESA programs, science competitions, leadership conferences, and music festivals. West Jordan Middle is a traditional school built in 1958 and serves students of varied economic, social, ethnic and religious backgrounds. Located in the city of West Jordan, the school’s spacious building and well-groomed campus are assets to the community. Their goals is nurture their students to be literate communicators, resourceful thinkers, and responsible citizens. The highlights of the school are that is serves around 950 students with a student to teacher ratio is 1 to 26. The faculty is a mix of 45 veterans and new teachers. The faculty is made up of psychologists, counselors, special needs teachers and caretakers. Most students live within walking distances and have 24 hour access to current grades and attendance within the schools online gradebook. West Jordan High School opened in 1981 and is located southwest of Salt Lake City. The highschool has over 50 acres of land and a very modern facility full of 102 classrooms and numerous specialty areas for unique courses and classes. The atmosphere is conducive to learning, sharing experiences, meeting new friends, and developing a sense of belonging as they learn. West Jordan High School’s campus sits on 50 acres of land and is a modern facility that meets the needs of today’s students and will continue to serve our students, staff, and community well into the future. The school’s 102 self-contained classrooms and numerous specialty areas house a comprehensive high school program. The school serves 1790 students. And the growth is expected to continue for 10 years. With 86 minute classes that rotate on an A-B schedule their curriculum meets and exceeds district and state standards. The teacher to student ratio is 1 to 36. They offer 9 different placement programs, concurrent college courses, and honors courses. They also offer programs for special needs students with a full resource program for those that need assistance. There is an active PTA and School Community Group with many school volunteers. Overall, 95% of their seniors graduate. They have a choir, marching band, yearbook staff, student newspaper, vocational youth clubs, basketball, swimming, and wrestling teams. The sport teams have repeatedly been to the final state competitions. Moving to a new state, city, or neighborhood is a perfect time to consider buying a home. However, there are a few things you should consider other than the color of the carpets, if the basement is finished, or the bathroom count. 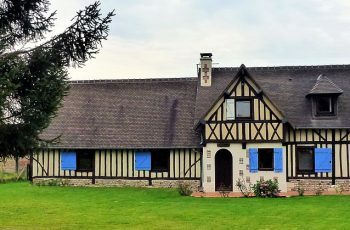 Consider which neighborhoods are going to be appreciating, where the theaters are located, where public transport is located, and how old the house is, etc. All these things directly affect home valuations. You want to buy a home that will continue to appreciate in value so you can sell if for a profit when you decide to move again later in life. Check out Zillow’s Home Buying Guide to get help figuring out everything you need to know through a step by step process to buy a home. The estimated average home price or condo value in South Jordan is currently $385,300 for a medium home with 5 bedrooms and 3 bathrooms. We’ve compiled a list of calculators to help you purchase a home in South Jordan and figure out how much you can afford with it comes to mortgages, refinancing, and affordability of homes you are looking at. Renting an apartment is almost as stressful as entering into a new relationship. You have to search for the perfect match, with the right amenities, price, location, features, and above all the other tenants and your landlord have to be on point. You’ll be living in a whole functioning community within a small neighborhood. Luckily for you we’ve compiled a few resources to help make the process seamless and easy. Find out from the locals how much groceries are, average rent/mortgages, property expenses, taxes… The cost of living index will help you understand if you can afford to live in South Jordan, Utah and how this city compares to other cities within Utah and how Utah compares to others in the USA. Currently the cost of living index for South Jordan is 121.3 which is more than the average across the United States which means it is relatively more expensive to live in South Jordan than most cities across the US. This is not necessarily a bad thing but you’ll need a higher salary to pay for all your living expenses and to still have a bit on the side for all the fun you’re going to have in South Jordan. Let’s be honest for a second. The main thing we care about when moving to a new city or neighborhood is ‘what is there to do in South Jordan?’ We care less about the crime rates than we do the theaters, the fitness gyms, food scene, shopping malls, theatres, etc. No one wants to live in a place that has no nightlife! So what is there to do in South Jordan? More than you would think! How accessible is South Jordan? Before settling down in any given neighborhood you need to check out how close it is to the main cities and attractions. You don’t want to have to live in Bluff, Utah which is 5 hours and 35 minutes from Salt Lake City or where there is no public transit. We’ve compiled the best commuting times, average gas prices, and available public transit surrounding South Jordan below. Commuting Times can make or break an apartment or house when you are deciding on a place to live. Unless you want to be out in the open and in the countryside then I’d suggest looking up the typical travel times from South Jordan out to the nearest cities. Find the average gas prices within South Jordan using GasBuddy! If you are moving then you should seriously consider self storage. You might find the perfect neighborhood in a day, week, month, or year. Regardless, you’ll want to arrange for a cheap self storage unit that can protect your belongings while you continue your search for a home. 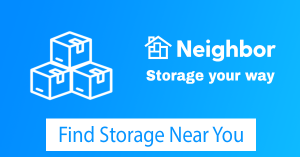 You need something flexible, cheap, and in a convenient location, you need Neighbor Storage. 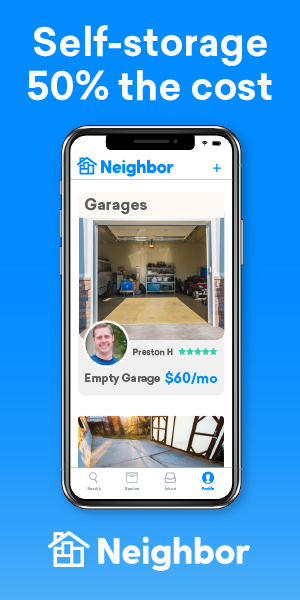 Neighbor’s got your covered with their self storage platform. The prices below speak for themselves. You can literally move anywhere in the United States. 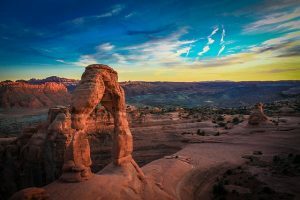 According to a Pew Research Center Survey 37 percent of Americans who have never lived outside their hometown and 57 percent have never lived outside their home state. Don’t fall into that statistic! Be a traveler, explorer, or nomad of the the USA suburbia! 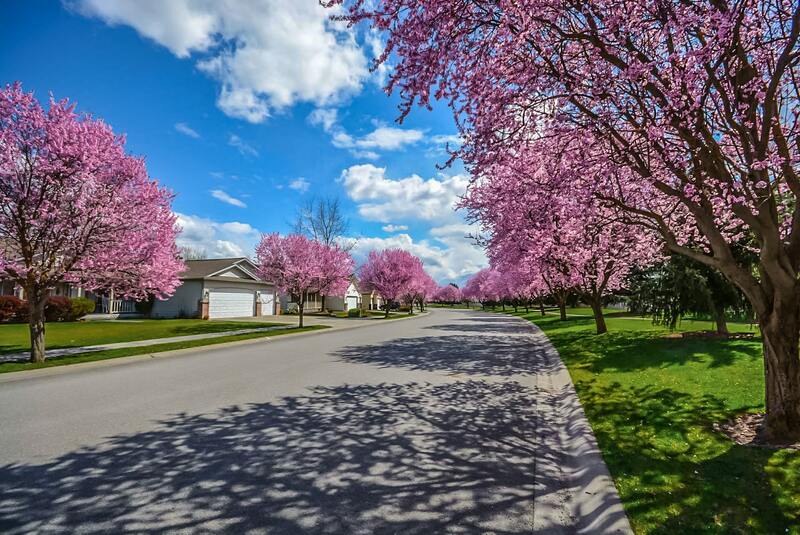 Why not try living in South Jordan, Utah? If not, explore other new neighborhoods near you and only settle when you have found the city that fits your vibe. Where Are The Woman Caves?